1. 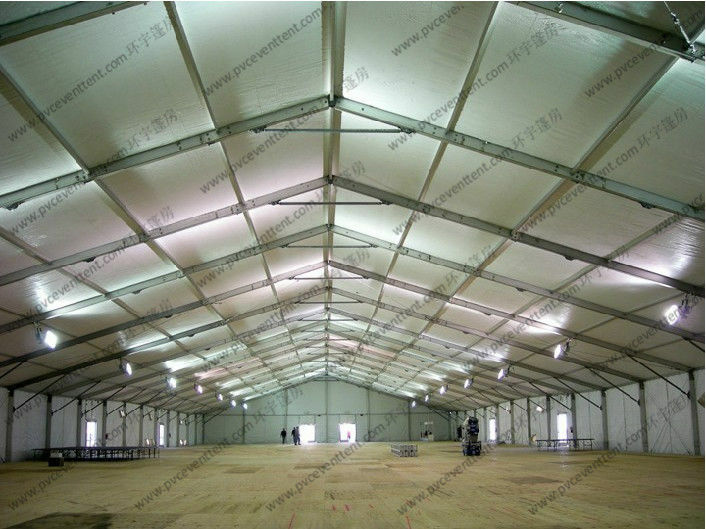 The clear-span of WAREHOUSE TENT could be 10 ~ 40m. 2. 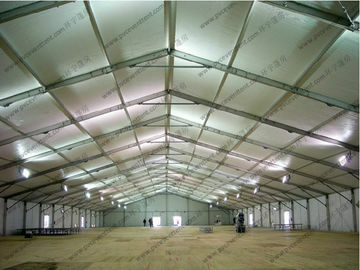 The length of WAREHOUSE TENT could be 15m, 20m, 25m, 30m and +5m more. 3. Frame use hard pressed extruded aluminium 6061 /T6(13HW). 4. The fabric is 650~850g/sqm double PVC coated polyester textile. 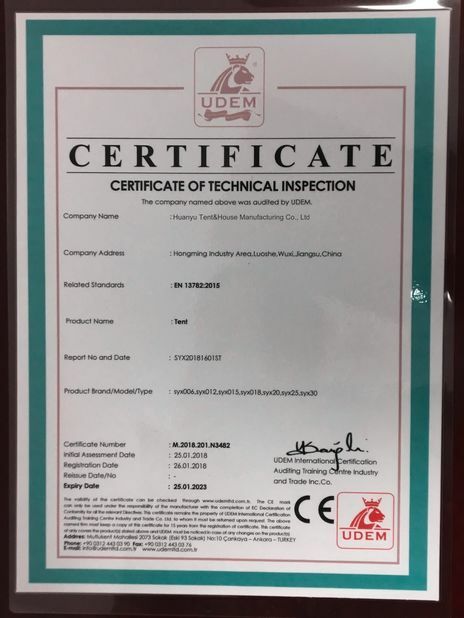 It is high quality at waterproof, flame retardant to DIN4102 B1, M2, U V resistant. 5. The maximum allowed wind speed is 70-100KM/h. 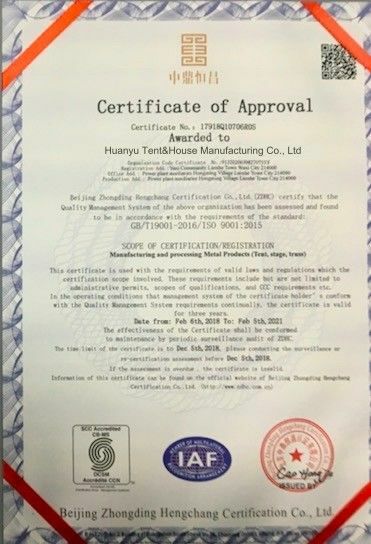 The security and variability of our products have reached the standard of similar products abroad.